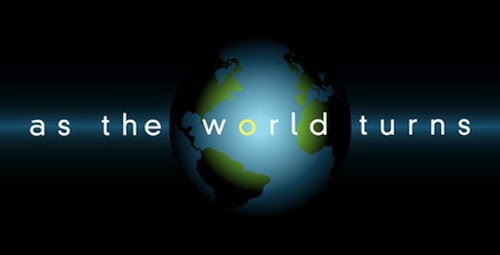 It's been a bit like an American soap opera around here... "As The World Turns", with me in a starring role. With each new episode, cameras move in for a close-up shot and freeze frame of my face and blank stare. Day after day, month after month, not much changes... same opening scene, same glazed look, same storyline until producers sense viewer interest waning and call for seismic change: a plot with a twist and new catastrophe. Reality is... life handed me this script: "A Death, a Funeral, and a Flood," and I'm doing my best to play the part of the dutiful daughter who just lost her mother. Grief-stricken and empty, I sit, stare, and sigh as inertia sets in from the enormity of having to provide closure for a loved one, who until recently was very much alive. Actually, it's been four months and 16 days since my mother died and I'm just hoping to hear the the final clapboard snap and the words, "Cut, it's a wrap!" 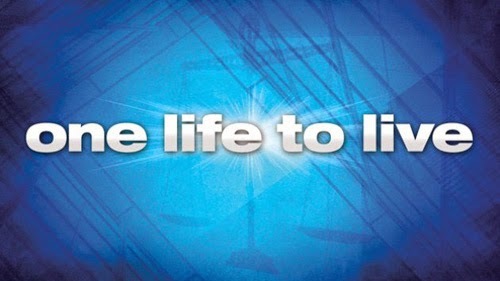 so I can direct my own soap: "One Life To Live," based on my life and living it again. But there's still the climax: the twist, catastrophe, the flood... not an onslaught of tears, or barrage of tasks demanding attention... but a real deluge! (Sound of phone ringing): "Ring... Ring." (Action): Daughter picks up the phone and says... "Hello?" (Voice-over with sense of urgency replies): "HELLO! THIS IS LEO. I'M IN THE OFFICE. A PIPE BURST IN YOUR MOTHER'S APARTMENT AND THERE'S WATER EVERYWHERE!!! IT'S A DISASTER!" (Flashback): To the deceased's apartment a month before the flood and the weeks of 14 hour days her daughter and son-in-law spent updating the place to get it on the market for sale. (Action): Daughter and son-in-law tediously sift through papers, policies, and warranties trying to make sense of things, as well as sort through drawers, cabinets, and closets gathering items to save or donate and dispose: filling numerous dumpsters. They also scrub floors, sand and paint walls, and hire someone to lay carpets. (Off location): Daughter and son-in-law make hundreds of trips to Home Depot and Lowes for electrical and plumbing supplies, new fixtures, shelving, and paint. In between, they shop for food, which only sometimes gets eaten. (Deleted scenes): Husband misplaces rental car keys and loses one day. Wife loses a spiral notebook containing EVERYTHING essential to her mother's affairs and loses sleep for several days. Keys recovered inside vehicle, notebook never found. (Flashforward): To daughter still holding onto the phone, obviously very distraught by the news of the flood and its destruction. Our loyal G4 Power Mac computer with dual processors, after 16 years, died quietly in his sleep, taking his knowledge and all our data (emails, addresses, downloads, documents, bookmark favorites, photos, and I hate to think what else) with him. Technically, he was never in 'sleep mode', but instead shut down for the night. Nevertheless, he's eternally at rest and I'm left with MORE DRAMA. And... "NO, I DON"T WANT ANY CHEESE WITH MY WHINE." Lately, it doesn't seem to matter what I know or want. Right now I'm down on both knees with arms in the air in full surrender... pleading for strength and faith to get past the chaos in order to find some calm in the present. 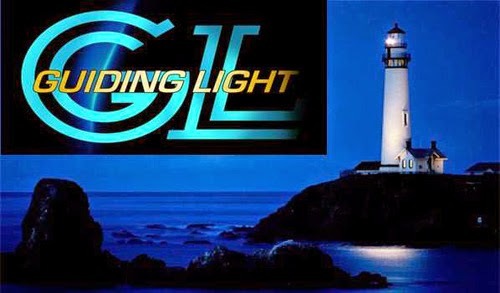 "No, I am not auditioning for the part of a parishioner in the soap: "Guiding Light." Nor do I practice religion. But I do believe in things much greater than 'ourselves' and call this power or energy, 'The Universe', where most say God. ... "Life unspools in cycles, some lovely, some painful, but in no predictable order. So you could have lovely, painful, and lovely again, which I think we all agree is not fair at all. You don't have to like it, and you are always welcome to file a brief with the Complaints Department. But if you've been around for awhile, you know that much of the time, if you are patient and are paying attention, you will see that God will restore what the locusts have taken away." ... It's all motion and stasis, change and stagnation. Awful stuff happens, and it's all part of the big picture." ... "Praying "Help" means that we ask that something give us the courage to stop in our tracks, right where we are, and turn our fixation away from the Gordian Knot of our problems. We stop the toxic peering and instead turn our eyes to something else: to our feet on the sidewalk, to the middle distance, to the hills, whence our help comes- someplace else, anything else. Maybe this is a shift of only eight degrees, but it can be a miracle." our computer, dead for days, RESURRECTED ITSELF!!! (Possibly with help from above). I can't explain it, but 'HALLELUJAH'! All data has been RESTORED!!! For how long, I don't know, but I'M TYPING AS FAST AS I CAN and will be sure to... BACK UP! BACK UP! BACK UP! But first let me back up to a revelation I had shortly before the 'rise' of our computer. I dreamt of 'The Universe'... of its blurred-out features except for its hand, which was clearly massive and held an eroded pipe full of water. I could sense that 'The Universe' had been clenching this pipe for a very, very, long time. Holding tightly... so my mother wasn't the one to deal with a water disaster. Still holding... so my husband and I could arrange her funeral and Celebration of Life Event without everything coming to a halt. And still holding strong... so we had time to organize mom's possessions, clear out her art studio, make sense of her paperwork and tackle her affairs without having to traipse through 4" of water while doing so. 'The Universe' held tight until the moment it believed I was better able to handle things. The rest you already know... the apartment is a disaster. What you probably don't know is how strongly this dream changed my perception of the situation. Feeling supported and spared from what could have been far worse, even if just a dream, left me with a sense of peace and tremendous gratitude. I'm told not much has been done to the apartment. There are still holes in the walls, dirt covers the floors, carpets are ripped up, and the furniture is skewed. For now... TO BE CONTINUED... 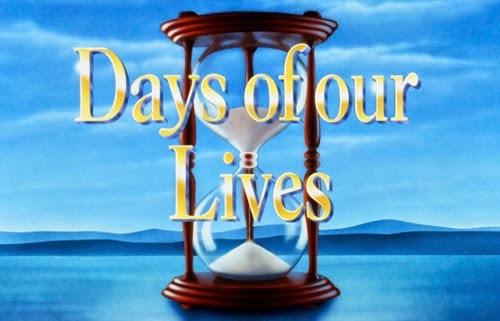 The 'Days of our Lives'. 'Days of our Lives' theme music here. How rich your "Next" is. Constructing your "Here" in such a creative way: script, plot, director props, based on real life theater events and emotions- a noble path of faith indeed. That writing course seems to have digested the slings and arrows of your past few months and helped churn them into your blog, worthy of a literary memoir. It seems to have such a heart quality of tenderness tinged with sadness, openness with presence. It's good to hear your voice again. I totally agree with everything Joey D said. I like the way he writes also. I can relate to your feelings of loss and grief. My mom died over 3 years ago and I still have many moments of sadness and feelings of loss and emptiness. The finality of death can feel overwhelming since I don't believe in life after death. I wish I did because at least that would be a comfort. The case of the flood in your mom's apartment is one of those situations that, bad as it is, could have been a lot worse. I'm glad that you are able to see that. Does this mean that there will have to be another trip to Florida or can it be resolved without you and M having to go back? At least there is one bright spot in this personal soap opera....your computer resurrected itself! Thank goodness you didn't lose anything! A scary lesson to be sure! Every now and then I remember pictures that have been lost when Rob tried to "fix" my camera and it gives me a sickening feeling in the pit of my stomach. I hope brighter days are ahead for you soon, dear friend. You've been through quite a rough patch. Sending hugs.